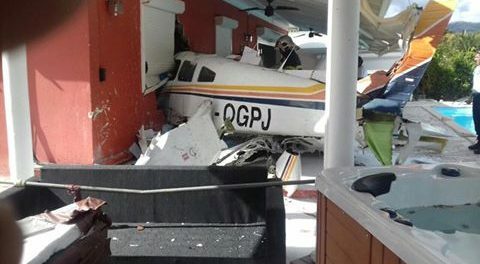 BASSE-TERRE, Guadeloupe (AP) ” Authorities in the French Caribbean island of Guadeloupe say a small plane has crashed into a house, killing the pilot. Officials say a young woman inside the house was treated for shock, but was not injured. The government says in a news release that the Monday morning crash occurred in the Petit-Bourg community northeast of the capital of Basse-Terre. Officials say they are investigating why the Piper Cherokee crashed.